Empower your teams to make data-driven business decisions. More and more companies are recognising that with the right tools in place, staff throughout departments can work better with data. Learn how with this whitepaper. Data today is not just customer data, it’s everything in a business. But unlocking the power of your data comes down to equipping your teams with the right skills and tools. 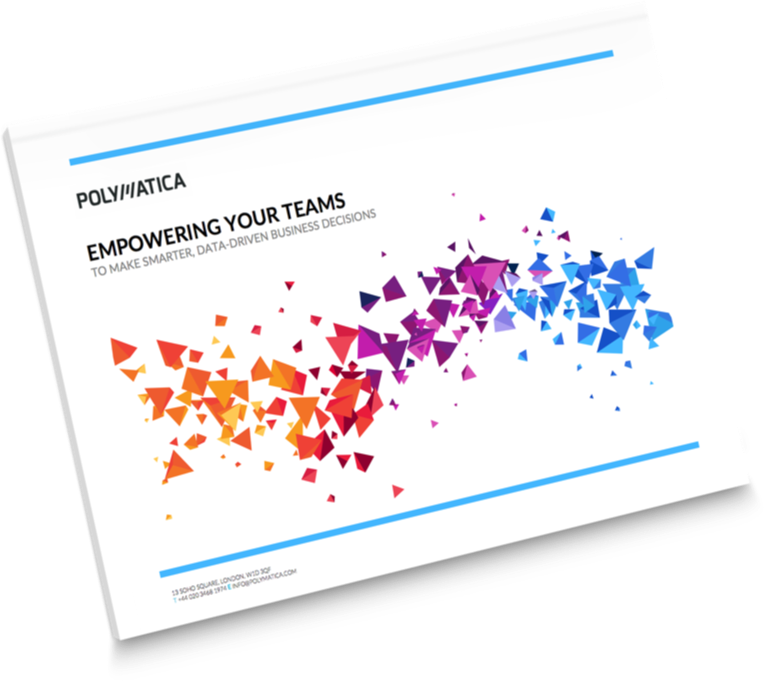 Discover how you can make better use of your data and empower your teams more effectively by reading this free whitepaper. Please fill in the fields below to access the whitepaper. By submitting this form, you consent to Polymatica contacting you in relation to your request for this whitepaper. Polymatica will not store your data for any other purpose or use your data in any other way without first gaining your express consent.